Remember when we said, way back at the beginning, that you may not have to venture farther than your own Central Florida back yard to experience “nature”. Well, here are some species of plants and animals I found inhabiting my own backyard that you may have seen or could be seeing. Boating on the St. Johns River – Follow the Leader! Jodi: Dave was at it again. Want to go boating on the St. Johns River next weekend? Of course! Hubby was off on an off-shore trip so Dave and I were off to the boat ramp. This is something we all do regularly so we have a system for it. I know… get out and do something new! Trust us, keep reading. We unloaded the boat and took off across Lake Monroe to warm up the motor. It was a beautiful morning! Jodi: Sometimes you’re just in the right place at the right time. Sometimes you just sense something is about to happen though you’re not sure exactly what. David and I were in the car one morning when I asked him to stop and turn around. I think he’s now accustomed to my immediate requests so, he no longer even questions why. He just did it. David: Fortunately we were on a back road so I was able to comply. My own curiosity was piqued and I wanted to see what Jodi was seeing. David: “Sunrise?”, I asked again, just to be sure that I had heard right. “Sunrise”, Jodi said with a little more conviction. Sunrise was to take place at 7:10 am the next day. Figuring in drive time and a minimum number of snooze button hits, that meant I would have to set my alarm for 4:00 am. Done. Jodi: Let me just start by saying that I’m just not a morning person. Never have been; I’m a night owl. So why am I telling you this? It’s to encourage you to break from the norm. Leave your comfort zone. Get up! Up! Up and get out! What you get in return can be FANTABULOUS! That’s a hybrid of the words fantastic and fabulous because just one of those words isn’t quite enough to describe being at Canaveral National Seashore (CNS) at sunrise! Jodi and I, collectively, have about zero experience producing a Blog and it may show for a while. We have certainly read a few, but this is a new experience for both of us. We hope that you bear with us as we strive for constant improvement. That being said, we invite you in to share some experiences we’ve had over the last few months and hope to continue to have into the foreseeable future. 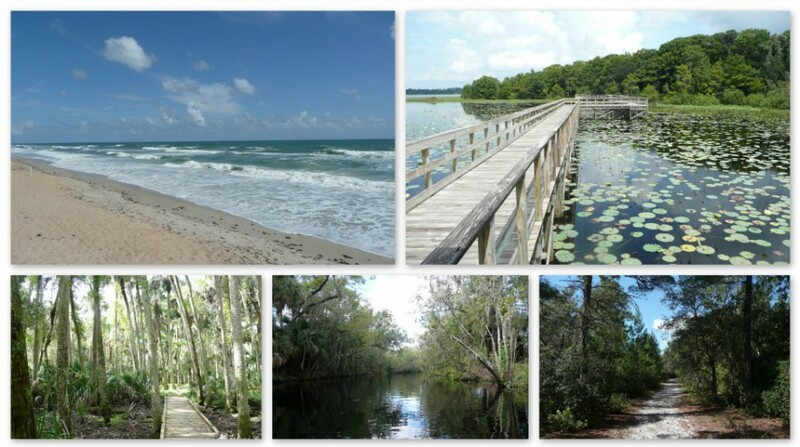 So grab your favorite beverage and join us for a hike around Central Florida…and beyond!